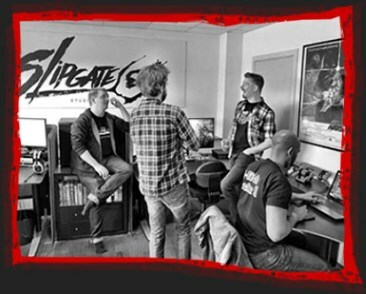 Slipgate Ironworks is a game development studio located in Aalborg, Denmark. We’re comprised of industry veterans and talent, having worked on both indie and AAA titles for the past 2 decades. Our first title was the critically acclaimed „Rise of the Triad”, under the Interceptor Entertainment name. 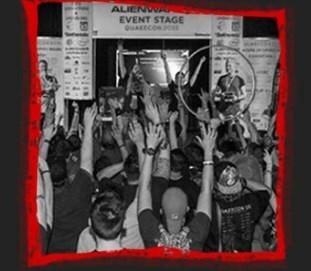 Rise of the Triad was released in 2013, and was considered by many as the birth of the modern retro shooter. Since then, we’ve been involved in a range of games, including Bombshell, Rad Rodgers and most recently, Ion Maiden, which is built using the original „BUILD” engine, known from 90s classics such as Duke Nukem 3D, Blood and Shadow Warrior. We are our own worst critics and we share a deep understading of what makes certain games „Tick”. We all come from a background of hard-core first person shooters and we all share a deep knowledge of how games of the past have influenced generations. Some might even call us old-school. A badge we wear proudly. Alongside our internal projects, Slipgate Ironworks also provides a range of services. We have more than a decade of experience with a range of different engines, most noteworthy, Unreal Engine 4. 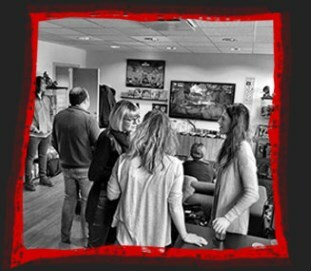 Several of our developers have experience working at Epic and on core features of the engine. ranging from Indie to AAA. projects whenever we have an open schedule. These services include development assistance in terms of Level Design, Art, Animation, Visual Effects, Technical Design and Programming. We also have a world-class team with a lot of console porting experience under our belt. Besides our experience with a range of engines (From classic engines such as BUILD from the mid 90s, to modern engines such as Unity), we’ve also managed to produce high-quality, fast performing, UE4 ports to every modern platform, such as Xbox One, Playstation 4 and the Nintendo Switch.